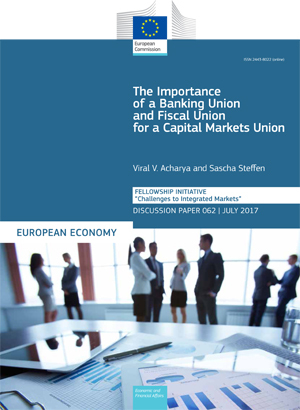 This paper investigates the importance of a functioning banking union and fiscal union for implementing a capital markets union. Discussion Paper 062. July 2017. Brussels. PDF. 40pp. Tab. Graph. Bibliogr. Free. JEL classification: G01, G21, G28.